Every wedding day is somewhat romantic and could read something like; handsome groom marry’s pretty bride in beautiful gown in the church on the hill. Sounds sweet huh. Well read on because the story of Robby and Jacque goes well beyond “sweet” and enters the realm of incredible love story culminating in an emotion filled roller coaster of a day. These guys faced distance, teenage years, romance, illness and true commitment to get where they are today… two of the happiest, most in-love couples I’ve ever had the pleasure of becoming friends with, let alone photographing. What’s the story behind the two of you, how and where did you meet? Robby and I are ‘high school sweethearts’. Just one week after our wedding was our 11 year anniversary!! We met around 16yrs old, during the back end of year 9. We wish we could say we’ve sailed through the last 11 years since then but life had other ideas. We’ve both spent a huge amount of time driving up and down NSW highways trying to maintain a long distance relationship while each of us pursued study only to graduate and have Robby diagnosed with Hodgkin’s Lymphoma at age 23. So needless to say our commitment to each other has been tested time and time again but here we are now, Mr and Mrs Farrar, happy and healthy. We get so many mixed reactions when we tell people how long we have been together. Our favourite of course is those who think it’s wonderful and rare we have our own story and we love it. On our 9 year Anniversary, Robby took me to dinner at Jonah’s, Whale Beach where we had a delicious seafood meal. Robby popped the question on the clifftop balcony after dinner – I remember it being pitch black and a little chilly and we couldn’t see the amazing view but we could hear the ocean and it was beautiful. There were many joyful tears and me asking repeatedly ARE YOU SURE!? …He ASKED and I said YES! Our wedding ceremony took place at St Mary Star of the Sea, Newcastle. We knew we wanted to be married by a Catholic priest so we found this gorgeous Church after we found our reception venue. The church itself is perched on top of a hill with gorgeous views of Newcastle and its beaches. We were also in awe of the high timber ceilings and sandstone features. 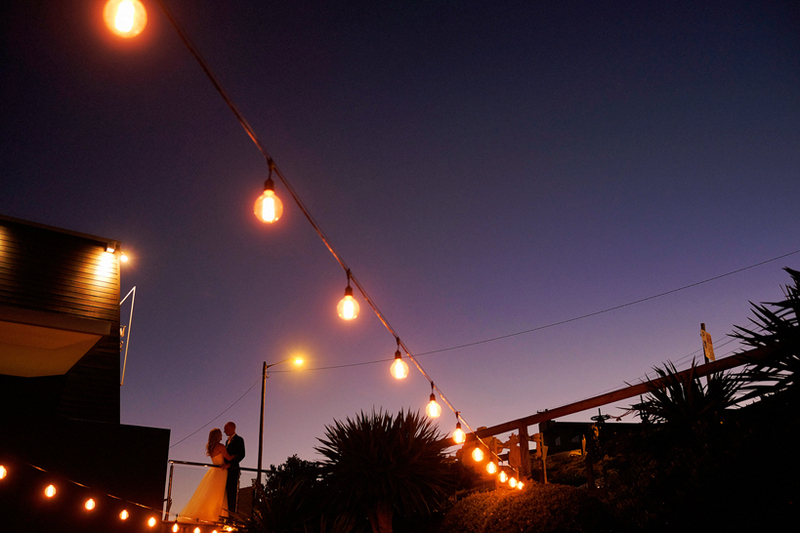 We chose our wedding reception to take place at Merewether Surf house. We searched high and low for our perfect venue, from the Southern Highlands, to the South coast; we even looked in Noosa and New Zealand, all our favourite places. In the end the Surf house ticked all the boxes, especially the amazing uninterrupted outlook of the Pacific Ocean. I used to live in Newcastle which is how we knew about this in the first place. I was there for roughly a year for work commitments while Robby was back home undergoing treatment for his Cancer. Robby would visit on the weekends he could and the surf house was one of the first places we came to be comfortable in and we spent many weekends in the cocktail bar enjoying dinner and the stunning views, dreaming about how beautiful it would be to hold a wedding here. We didn’t necessarily start with a theme or a style. We more or less knew the most important thing to us was going to be the feeling of the day and how our guests would remember our big day and of course how we would remember it. We knew we wanted a warm, classic and romantic feel, with some rustic elements and a touch of glamour. I found THE dress at Lisa Gowing’s Boutique store in Double Bay. The fabric of the dress is what drew me to try it on in the first place, an Ivory satin underlay with layers and layers of soft Ivory tulle. What I loved most about the dress was the Ivory silk buckle belt; I thought it added a unique, modern touch. So my advice for brides is be open minded and don’t try too many on (they start to look the same after a while). I suggest making 4-5 appointments at different bridal stores and you’re bound to find the one. We kept our jewellery and accessories simple. I designed some bracelets for my bridesmaids with our Jeweller, Joakim, from Delphi Diamonds who made our wedding bands and at the last minute I ordered some earring’s online to wear on the day. I didn’t carry a clutch or bag; my bridesmaids had everything I needed in their bags for me, which wasn’t much, just a touch of lippy and some hairspray! My mum did have an emergency kit for the day though which included bobby pins, tissues, pain killers, Band-Aids etc. Definitely a must do! Gorgeous Bec and her team from Om Shalom Hair and Makeup in Newcastle did our hair. They came to us on the day which was amazing and allowed us to relax all morning without any stresses of getting to and from the hair salon. I loved having the 2 different hairstyles for the day! Having it up and romantic for the ceremony and then letting it out for the reception because I literally wanted to ‘let my hair down’ and party! Michelle and the team from Om Shalom did our makeup! I had no idea what I was after! I didn’t have any looks to show Michelle, I just wanted a natural finish for myself and the girls. Robby had his heart set on a blue suit from the start. My Uncle and Aunty own and run ‘Hugh Palmer Clothing for Men’ in Nowra, so we were able to turn to them to supply the suits, bowties shoes, socks, belts and shirts for the groom and groomsmen. We decide to purchase and not hire because we wanted them to have a nice suit, properly fitted that they could add to their wardrobe and wear again and again! Can you tell me about your flowers/bouquets? FRESH FRESH FRESH!! I just love fresh flowers and we used them everywhere! We had floral arrangements as our centrepieces on the reception tables as well as outside on the terrace. We also had a fresh flower garland draping over the Bride and Grooms Chair. We loved this as we didn’t have the traditional long Bridal table at our reception so this was our something special for our table. Our ceremony flowers and bouquets were big and wild yet elegant with natural whites and green. All the Flowers were put together by Ashleigh and her team from Piccolo and Poppi. What led you to choose the wedding cake you did? We decided not to go traditional with our wedding cake and we opted for a 2 tiered peach and white chocolate cake with a white chocolate ganache with a soft icing finish made by the team at Faye Cahill Cake Design. It was just delicious! What did you have for your Bomboniere? My friend and amazing chef from ‘The Little Tarte’ made our macaroons for our wedding favours. I sourced the clear boxes and designed the stickers to seal the boxes, so the day before the wedding all we had to do was pick up the fresh macaroons and then box them up ourselves, it didn’t take long with 3 or 4 of us in a production line We had 2 flavours, Passionfruit and Chocolate Salted Caramel. We tossed up lots of different ideas for the wedding favours but in the end the feedback we got was that people love edible gifts!! We thought macaroons are a nice delicacy, they look great and guests could throw them in their handbags and eat them the next day if they wish. Andrew visited the boy’s house as well as the girl’s house to capture some photos of us getting ready before he went to the ceremony to get ready to capture our arrival at the church. I didn’t notice Andrew at the Church he was very discrete! Unfortunately we ran out of time to do family photos before we left to do the location shoot. We had a couple of locations in mind but due to the timing restraints we just picked our favourite one and did our photos there. This part of the day was fun and I really enjoyed the time out with the bridal party and Robby. My favourite photos of the day are from our location shoot. Believe it or not but Andrew was our first vendor that we booked for our wedding! We hadn’t even found a reception venue yet and we weren’t even sure we were going to get married on the central coast at this stage. If I remember correctly I traced Andrew’s photos back to his website when I was doing some wedding venue research one day. I had emailed a few different photographers however there was something calming about Andrews’s correspondence. As soon as I got in contact with him I had a good feeling, he was extremely helpful and reassuring with all things wedding and his wealth of knowledge and experience were apparent from the get go. In the end we ultimately chose Andrew because he made us laugh and we felt comfortable around him. We knew he wouldn’t have any reservations about speaking up if he wanted a certain shot but also had an eye for capturing the candid ones. Oh Gosh! It’s too hard to just pick one! The moments before entering the church and walking down the aisle was the only part of the day I felt those nerves mixed with excitement and sheer happiness. I was doing ok until my sister decided it was her turn to head into the church and left Dad and I standing there trying to work out which side of the aisle we were each supposed to be standing! It was very funny! Walking into the reception as Mr & Mrs Farrar literally seconds after the hairdresser had let my hair down was another amazing moment for me. To have all our loved ones greeting us as one was overwhelming and seeing our reception planning come to life was just mind blowing, I remember thinking just how perfect it all was, how happy we were and how excited we were to party! But we also loved the more private moments where we took a moment to soak it all up and spend some time with each other. We were able to do this on the drive to the location shoot and while everyone else was eating their dinner. It was only 10-15 mins each time but it was really worth it and something I would recommend to others. 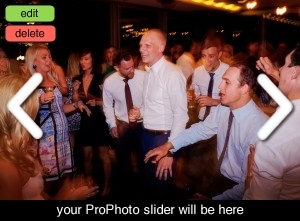 We almost didn’t have one straight after the wedding…. We are honeymooning in Europe later this year so had decided not to go anywhere straight after the wedding. However as the wedding got closer we began to realise we were going to need a break and some down time after the wedding festivities. We ended up going to Fiji for 6 nights and it was exactly what we needed! I was hopeless with decision making when it came to planning this wedding! I changed my mind a million times! My advice would be to put Pinterest down, put the magazines down and just create the wedding that you have always wanted. We were so happy with every aspect of our wedding that we’d only be nit picking if we were to change something and we feel very lucky to feel this way. If anything, we’d be trying harder to make it go longer, or for time to go slower.